MOSCOW, August 10. /TASS/. Russia’s State Space Corporation Roscosmos plans to select a new team of cosmonauts, with the recruitment campaign expected to be completed in 2020, Head of the Cosmonauts Training Center Pavel Vlasov said on Friday. 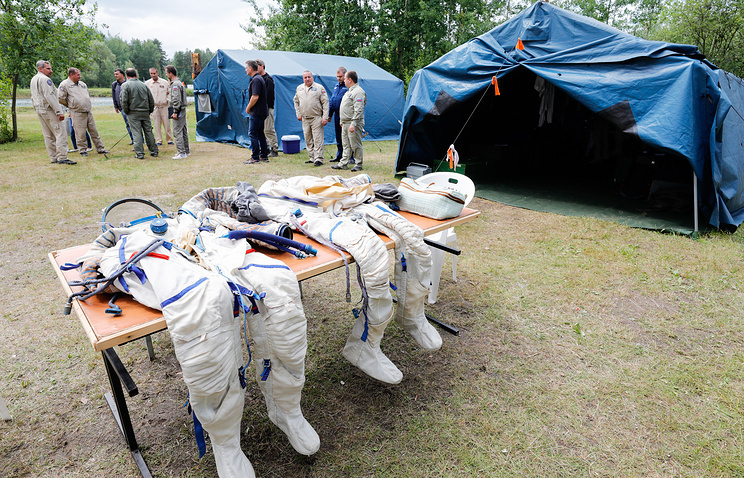 "Roscosmos already intends to initiate a new recruitment campaign for the team of cosmonauts. The selection procedure is planned to be over in 2020," he said. "The cosmonauts who have joined the team following the results of the selection procedure that started in 2017 will make it possible to provide for space flights through 2024," Vlasov said. It was announced on Friday that the procedure of selecting new members for the cosmonauts’ team had been completed. As a result, eight new cosmonauts joined the team. The 17th selection procedure for Russia’s cosmonaut team kicked off in March 2017. The selection was an open recruitment campaign: any Russian citizen not older than 35 years of age, with a higher university degree in engineering, the sciences or piloting and work experience were eligible to apply. The contenders were assessed by such criteria as their education, professional level, health, psychological qualities and physical preparedness. Until now, the Russian cosmonauts’ team comprised 25 members.